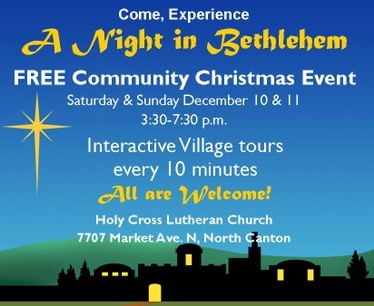 If you are looking for a great family friendly Christmas activity this weekend, come visit us at A Night in Bethlehem. My family will be actors in the marketplace. We would love to see you there!